The MultiCube 650V is a hugely innovative meter. It can be configured to measure 2 x 3 phase supplies, 6 x single phase supplies or a mix of three phase and single phase supplies. It has been designed to meet the requirements of both energy managers and electrical engineers. 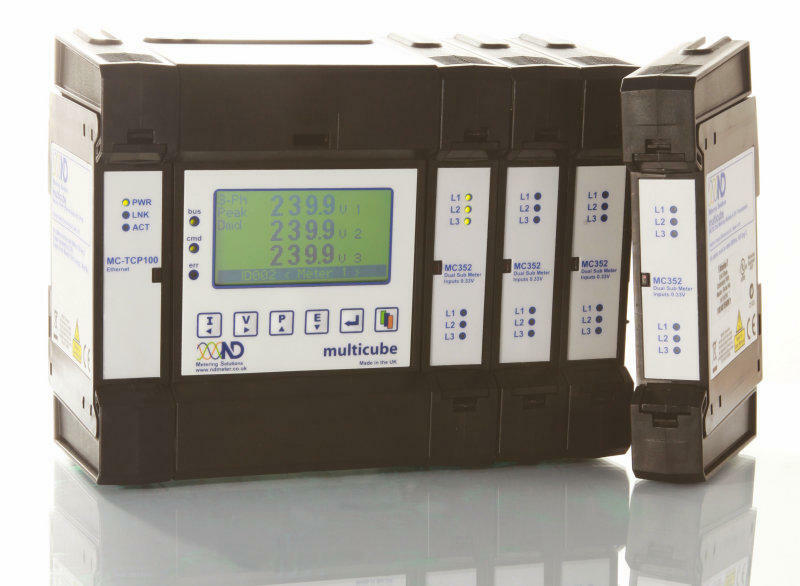 As standard the MultiCube650M comes with RS485 Modbus and 4 pulse outputs; 3 for kWh and 1 for alarms, all of which are configurable for both duration and rate.